The March/April edition of the magazine Rocks & Minerals would be considerably slimmer if physics professor John Jaszczak’s contributions were extracted. With John Rakovan (Miami University), he coordinated a series of articles on mining in the Arusha region of Tanzania. He coauthored “Miracle at Merelani,” an article on minerals found at the Karo Mine, providing electron microscope images and photos of many showy specimens from the Seaman Mineral Museum. He also edited a pictorial of Merelani, a village near the mine. 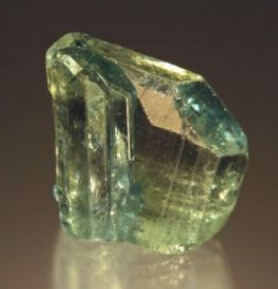 In addition, he coauthored “Fluorapatite from a Remarkable Occurrence of Graphite and Associated Minerals,” providing three photos for the article. Lastly, Jaszczak wrote the Word to the Wise column entitled “Raman Spectroscopy in the Identification and Study of Minerals,” which introduced readers to this powerful tool for identifying and characterizing minerals. Yoke Khin Yap (Physics) has received a $140,000 research grant for “Synthesis and Characterization of Functional Boron Nitride Nanostructures” from the National Science Foundation. It is for the first year of a three-year project totaling $420,000.